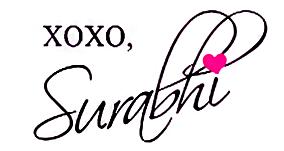 Indian Beauty Blog | Fashion | Lifestyle | Makeup | SparkleWithSurabhi : Thank-you for the wonderful response on franklyme app, speak to your favourite celebrity blogger!! Thank-you for the wonderful response on franklyme app, speak to your favourite celebrity blogger!! Frankly.Me App is one of the TOP 10 most downloaded apps in India today. The best about franklyme is that you can write to you favourite celebrity, actor, comedian, singer, makeup artist and blogger and get replied by a personalised video selfie!! 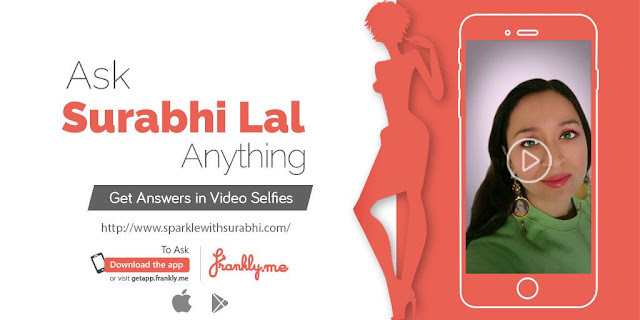 Thank-you for the wonderful response, I have been bombarded by questions and I love answering them.. you can view all my video selfie's by clicking on the widget link below..
Miss Malini, Sumeet Patange, Ruchika Batra, Surabhi Lal, Sonal Jindal, Maa of All Blogs, Michelle Montes, Sylvie Rodgers, Bina Ramani, Juhi Chawla, Deepika Padukone, Krusha Abhishek, Arvind Kejriwal, Somnath Bharti, MufflerMan, Catherine Alexander, Javed Aktar, Rochelle Baretto, MyFashionVilla, Shaily Khera, and there are many more! !